There can be little doubt that Savile Row is considered to be the heart of bespoke tailoring. After all, the tailors of Savile Row have a long history of producing the finest hand-made garments, made from the highest quality cloths and fabrics. They have dressed royalty, heads of state, cultural icons, as well as officers and gentlemen. With such clientele, the tailors of Savile Row have always understood the need to be prudent, which is why discretion is often as valuable a tool to a Savile Row tailor as the chalk and shears. However, for many this has left the Row somewhat shrouded in mystery. Just what is it that goes on behind those cutting room doors? Well, wonder no more because on Thursday 24th April 2014, Chivas deluxe blended Scotch whisky and the Tailors of the Savile Row Bespoke Association are throwing open the doors for the very first time with “Open Row” – a special after-hours event that will give 300 guests the opportunity to meet the masters behind some of the most well-respected names in prestige British tailoring. Each of the houses in the Savile Row Bespoke Association will be hosting a unique presentation that showcases the history, workmanship and individual style of their house, from pattern cutting workshops and style advice for the modern gentleman, to talks from the men and women behind the Row. 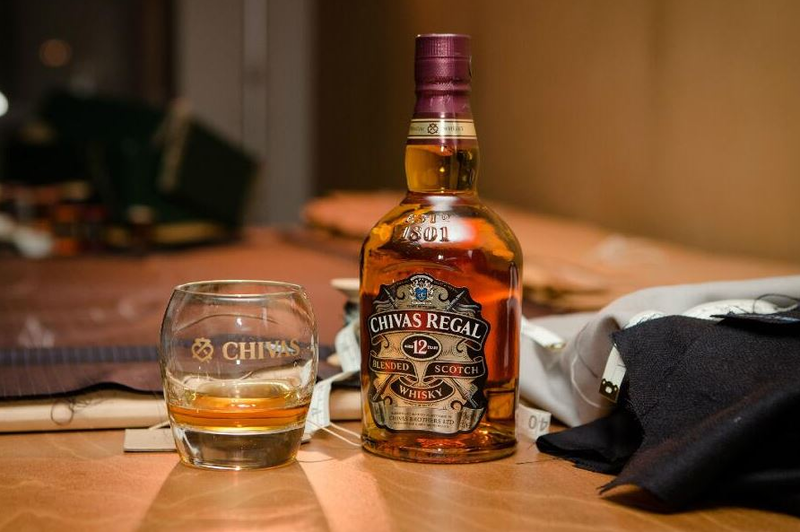 Guests will not only experience this privileged insight into the world of Savile Row tailoring, but they will also be treated to an exclusive whisky tasting, sampling the full Chivas range of 12, 18 and 25 year old luxury whiskies. Chivas brand ambassador Michael Harrison, will host the tasting and take guests through the art of blending that has gone into every bottle of Chivas since 1801. As if that weren’t enough, there will also be the opportunity for guests to partake in an exclusive Chivas cocktail masterclass, where they can learn the art of mixology from one of London’s leading bartenders. Tickets to Open Row are priced at just £15.00 (including two complimentary cocktails) with proceeds from the ticket sales going to the Savile Row Bespoke apprentice training scheme. or sipping on a glass of Chivas, to either Instagram or Twitter with the hashtag #ChivasSavileRow and remember to include me (@dublonothing) in the post. I will judge the best picture and let you know the winner!